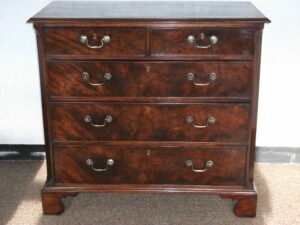 Fine rosewood tea caddy with dragoon moulding and bun feet. 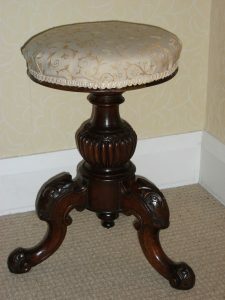 Fine William the 4th lamp table on an octagonal pedestal and tripod platform supported on lion paw feet. 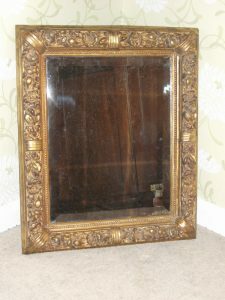 Victorian gilded mirror frame with bevel edge mirror. 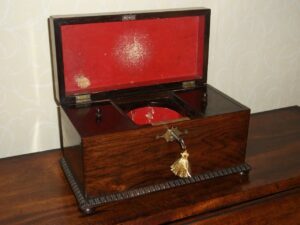 Victorian walnut and ebonised desk tidy raised on bun feet with a drawer and matching period ink wells stand. 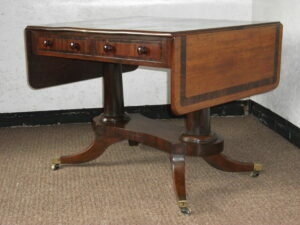 Irish Sofa table with a solid mahogany top decorated with rosewood cross banding above two full width drawers. 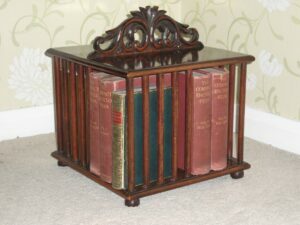 1960’s book rack made from oak and birch. Comes apart for ease of postage. 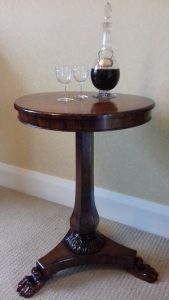 Mahogany Pembroke Table with twin butterfly flaps above a single oak lined drawer on square chamfered legs. 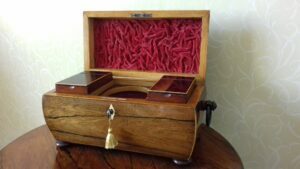 Rosewood tea caddy in sarcophagus form with two internal tea canisters on bun feet and with a working lock and key. 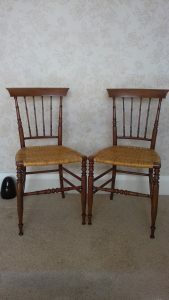 A pair of high quality occasional chairs made in muninga an African hard wood like rosewood. 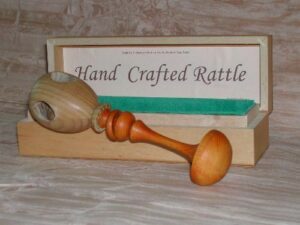 Well turned with delicate components. 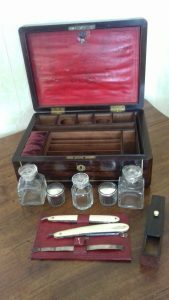 Rosewood and brass bound vanity box or necessaire, with a fitted interior of class and plated metal lids. 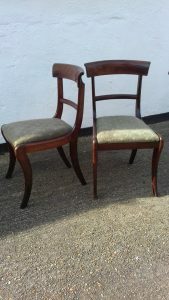 A pair of high quality dining chairs made in rosewood. Well made with sabre legs and drop in seats. Sturdy and the cane is whole. 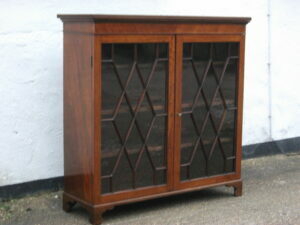 Tim Baskett is a fully qualified furniture restorer who established his business in 1992. 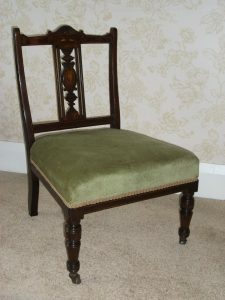 He studied for 4 years at the London College of Furniture, attaining an OND and HND in furniture studies bias area antique furniture restoration and conservation.